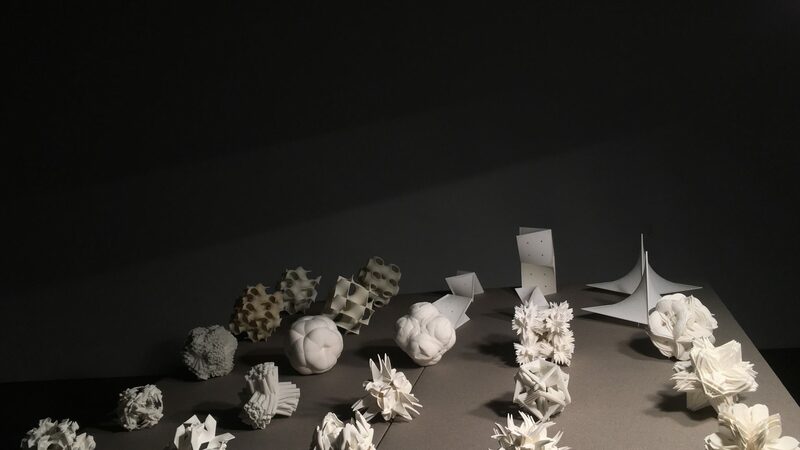 This exhibition presents the outputs of an interdisciplinary project firmly rooted in the idea that creative practice can be enhanced through its affiliation with fundamental science (and vice versa). The project was initiated as a collaboration between architects and crystallographers at Cardiff University in the United Kingdom in 2013. As two disciplines at different ends of the spectrum of scale, crystallography and architecture are rarely brought together. The main goal of the project is to produce new pathways for designers to learn from the structure of matter at the atomic and molecular level, recognizing that structural features found at nanoscales are possible design diagrams with multi-scale potential. In the last year, the research project has branched out into a special dialogue with Owen Lloyd, a sound artist based in the United Kingdom. This phase of the project has seen the development of a sound application based on periodicities found in incommensurate crystals. The exhibition at ACUD MACHT NEU will feature physical prototypes at various scales, videos, visual media depicting the design outputs of the project and a bespoke sound installation.